This is a site for sharing... environmental ideas, household solutions, home remedies and more. And while we know that we cannot possibly monitor and/or fix all the environmental issues that affect our families, we do have a few good things to share. We're here to tell you about professional organizations, businesses and even individuals that help us, and can help you too, protect our neighborhoods and get the most from our homesteads. In a nutshell... this site is all about getting the most from that little piece of real estate that you call, "HOME." 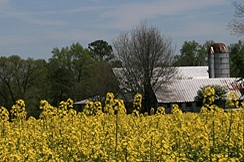 So, follow us in facebook and check back here often for new article additions and helpful links that pertain to our beautiful Iredell County, North Carolina! 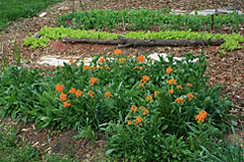 Our no-till natural gardening uses mulch, composting and plants that fit allotted space or containers. Perhaps not what all pros recommend, but it seems to work for us. Through the use of these tips, our own gardens create a better backyard and maybe even more to eat, too. While perusing our home gardening section for information on rain barrels, compost short cuts and more, be sure to also check our listing of favorite friends that can aid in your garden or landscape planning. Neighborhoods are very important to us, so anything that brings back bees, birds and butterflies like pollination, trees or an increase in native plants is on our agenda. We try to keep the majority of our entertainment nearby and healthy. Therefore, we're always anxious to share tips about new green spaces or farmers markets. And, since there's nothing we like better than to sit around the local drugstore and swap environmental stories, we have sectioned a place for current topics that may include people, art and culture, interviews or historical archives. Most of all, we value what you have to say! So feel free to tell us your stories or share your photos about how you make the most of your own natural home space!